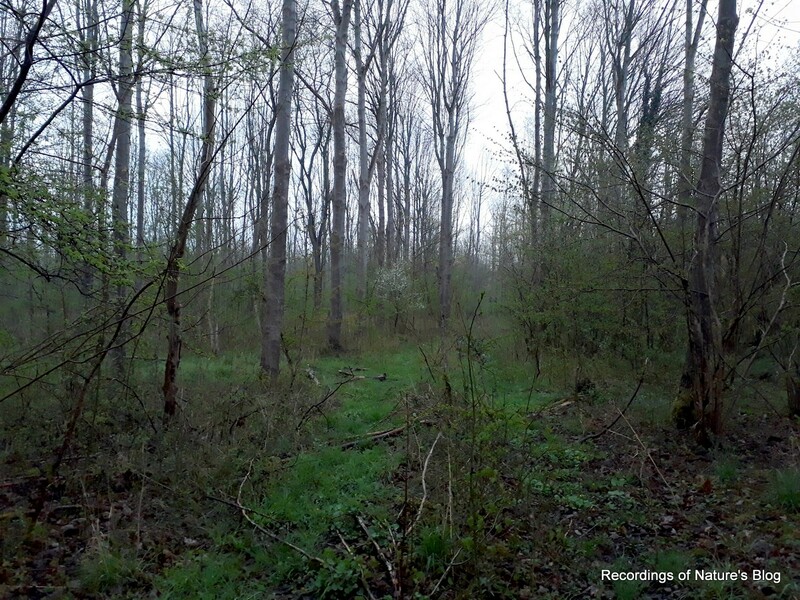 This is an all-night audio recording April 27th, 2018 from Vestskoven – a forestland 15 km outside Copenhagen. This part of the forest is 30-40 years old, and is fairly open and undisturbed. After a solid period of warm weather, everything is now rapidly growing and blooming. The same high activity level can found amongst the wildlife, birds and insects. The weather forecast for the night indicated a slight chance for a quick shower, however (surprisingly) it turned out to be more or less rain the whole night. Luckily the setup survived just fine. The wind was very calm, and initially in a favorable direction with respect to the nearby motorway, but it gradually turned less favorable during the night, so in the morning the traffic noise was a bit louder. In addition, some other constant deep (machinery) rumble is heard during the whole morning. The clip below is from the very late night hours 2:30-5:00 am. In the clip you can hear various night/morning activities and still rain coming and going. E.g. some unknown bird calls(00:08 and 0:14), distinct fox barking (0:40), more rain (0:49), woodcock (1:06, 1:15) and the morning chorus starting from (1:54) especially dominated by a song thrush(?) (2:20). Calm winds, from SE turning SW, 12-8C. Mostly rainy. « Decline in insect populations – is silence spreading over the land?